Today, I wanted to start by sharing with you one of my favourite Pinterest finds - An All Natural, Homemade Cleaner! Holy cow, can I be any more EXCITING?!?! 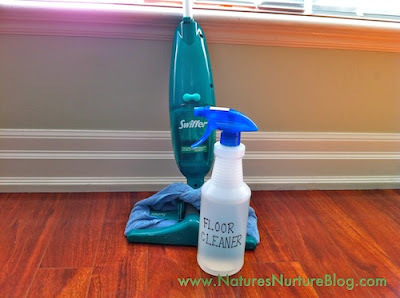 All kidding aside, I had been looking for a great homemade/natural cleaner to use in our home and was happy to find this simple recipe that contained three ingredients that we all have in our house - Equal parts Water and Vinegar with a few drops of Lavendar Essential Oil. Doesn't get much easier than that and it cleans really well too! I also loved the idea of using microfibre cloths on your Swiffer - terrific idea! Check out Nature's Nuture blog, for this cleaner and other green ideas. 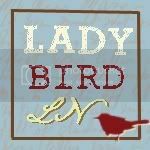 The next thing that I wanted to share with you is a new beauty find that I have been trying out. Tinted Moisturizer has been around for quite a while now, but I had never tried it before until recently. As much as I LOVE make-up, I don't like to wear a lot in the summer but like to have a bit of coverage to even out my skin tone. I decided to try out the Smashbox Sheer Focus Tinted Moisturizer and I was pleasantly surprised. Intially when I put a little on my hands I thought that it was going to be too heavy and come off looking greasy, but after I applied it , it looked smooth and gave me even, full coverage - I was thrilled and have been using it regularly ever since - no breakouts either (which I am occasionally prone too!) 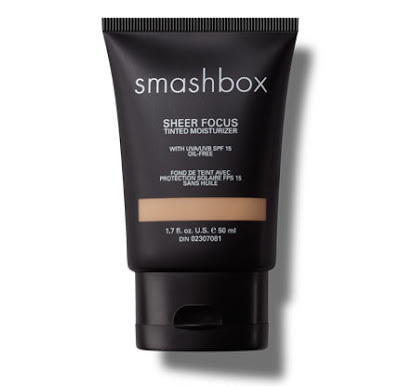 Check out Smashbox for more information on this product and many others! The last thing that I'm digging is Metabolism Boosting Water. I don't know if it works, but it tastes great and with these crazy high temperatures we've been having it's super refreshing. 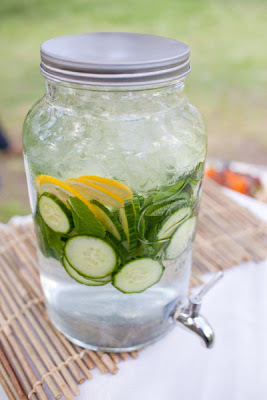 All you do is cut up one cucumber and one lemon and add it to a jug of water with 10-12 mint leaves and you've got yoursef a delicious drink of water!!! Stay cool and enjoy your week! Did you get your Smashbox tinted moisturizer on-line? Or were you able to find a local store that sold it? That water looks great and I'm with Kara,..I can use any help, lol. Great finds! I'm for sure going to check out the tinted moisturizer. And the water looks fantastic!